We asked some of the top family travel writers which up-and-coming destinations families should be flocking to this year. In part one, we revealed the top five places for food & culture lovers. This time around, we’re chasing the sun. Here are the top beach destinations to visit in 2019. This year was my first time to Fiji, filming for Getaway. I had no idea what to expect, but from the moment I arrived, I knew I’d found my new favourite paradise. During filming, we were able to visit many incredible resorts and experience a wide range of activities. My favourite activity on the main island of Viti Levu (and one that is for the whole family) was Ecotrax. It’s an outdoor adventure on electric pushbikes attached to the old sugar-cane railway lines that take you through local villages to a gorgeous, secluded beach. My other family activity tip would be to do the Discover Fiji village tour. Your kids will love seeing the traditional way the Fijians cook their meals (lovo is cooked in an underground oven), hearing the songs, learning about the traditions and playing with Fijian kids in the village. When my partner, Liam, and I found out we were expecting our first baby, we decided to have our babymoon in my new favourite destination. Fiji Marriott Resort Momi Bay is a family-friendly resort complete with an amazing mei mei (nanny) service, ready to give parents time together while their kids (from 0 to 12 years old) are cared for. We are already looking forward to taking our baby girl back here on her first holiday in 2019. However, this time around, we took advantage of staying in an adults-only overwater bungalow. The infinity pool in the adults-only area is a must-visit – here you will witness the most amazing pink sunsets. Liam and I then spent a few days at the new Six Senses Fiji resort, also a very family friendly resort, and only a quick speedboat ride from Port Denarau to the Mamanuca Islands. Six Senses Fiji is extremely eco-friendly; it serves only fresh, organic and locally sourced produce in their restaurants (and their day spa!) – a lot of which is actually grown at the resort. I would highly recommend this resort for families, as its Grow With Six Senses kids’ program is so beautiful, teaching children about wellness, mindfulness and learning through natural play. For the adults, there is also plenty to do. Liam went surfing every day with Tropicsurf, which he loved, and I took advantage of the yoga classes. 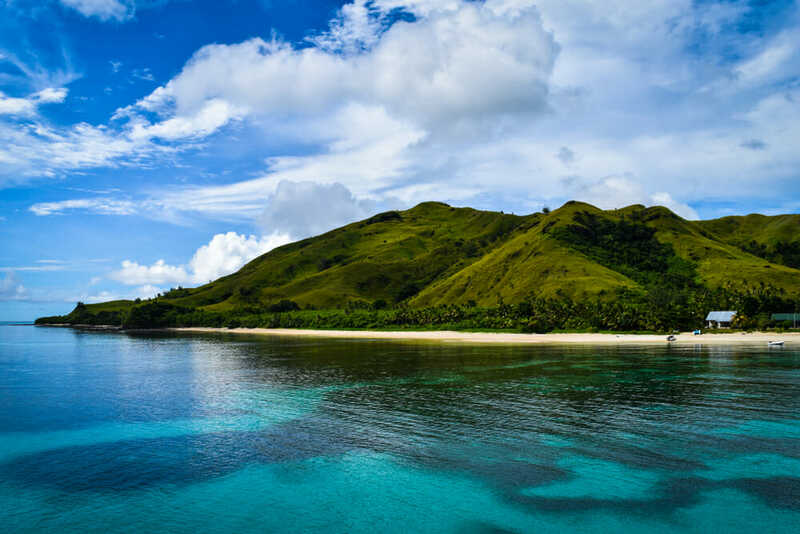 Fiji has a piece of my heart now, not only because it is a tropical paradise with the most remarkable outlook and pristine blue ocean, but there’s a calm, a sense of peace you experience when you visit that is just such a gift. Most importantly, what makes Fiji so special are the gorgeous Fijian people. They are pure of heart and, to me, it truly is the happiest place on earth. 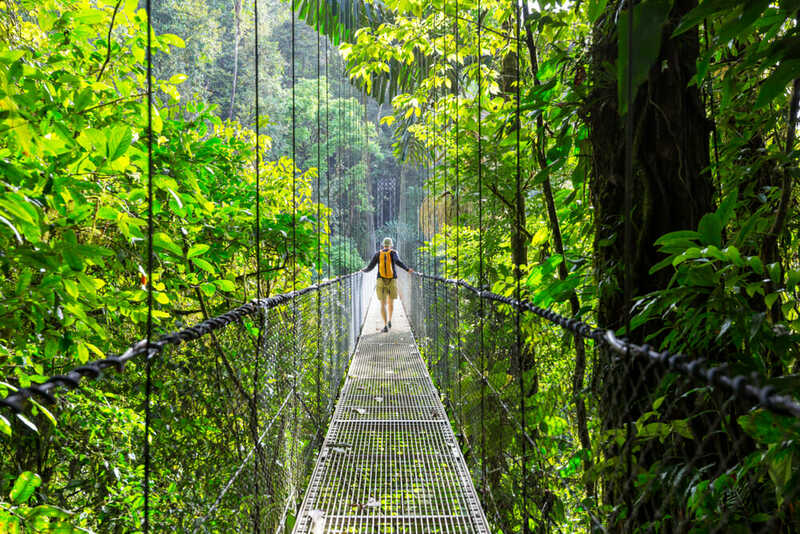 Costa Rica is nature’s playground with everything from volcanoes to forests to sunny beaches, so families can be as active or relaxed as they wish. Time away with our girls was always precious to me and my wife, so the flexibility and ease of travelling around this beautiful country are two of its top selling points – meaning more time exploring and making memories together. I recommend starting the trip in the northern plains of Arenal, as it boasts the best family-friendly activities: zip lining along the treetops, white water rafting on Balsa or Sarapiqui Rivers, naturalist-led private hikes around the national park’s lava fields and rainforests, animal and birdlife spotting, and trekking along the famous Arenal hanging bridges. 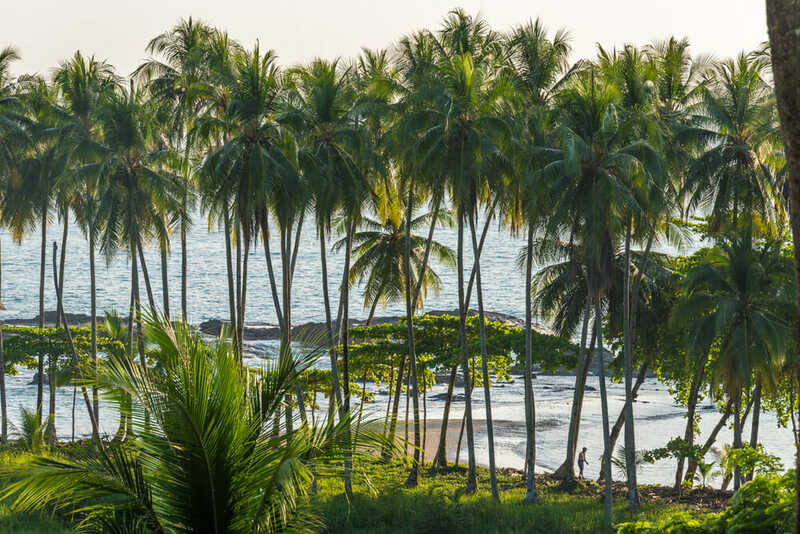 From there, offer the family a completely different pace of life with a few days in the country’s remote South Pacific Highlands, which feels like you are discovering one of Costa Rica’s last hidden havens. There are lovely boutique-style hacienda retreats offering private casitas perfect for families. One of our favourites is Hacienda AltaGracia with its secluded setting, an abundance of horseback riding trails and game room entertainment for family fun day and night. Conclude the trip at the beach, specifically in the sunny northern Pacific Coast of Guanacaste – home to the tropical paradises of Tamarindo, Las Catalinas and the Gulf of Papagayo. The activities on offer seem endless. You won’t have to worry about finding something for the pickiest of children (or spouses). 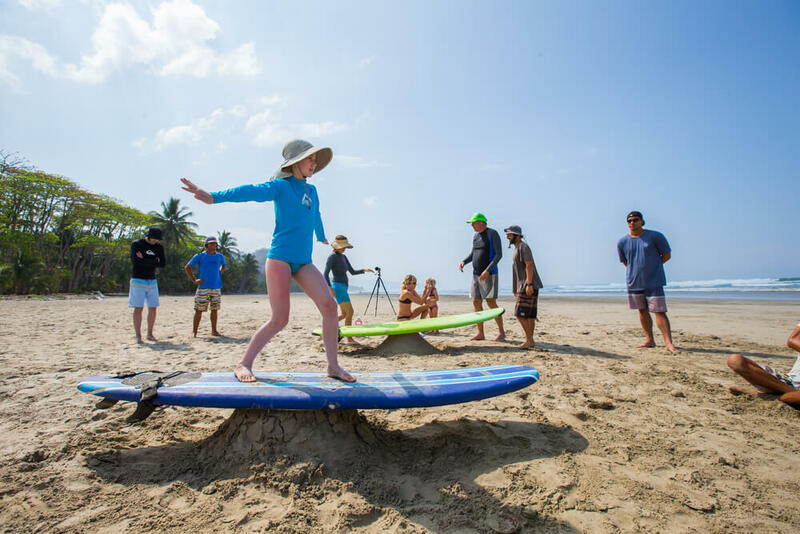 Some of my favourites include surf lessons, nature walks at the local National Parks, ocean kayaking, and stand-up paddle boarding. 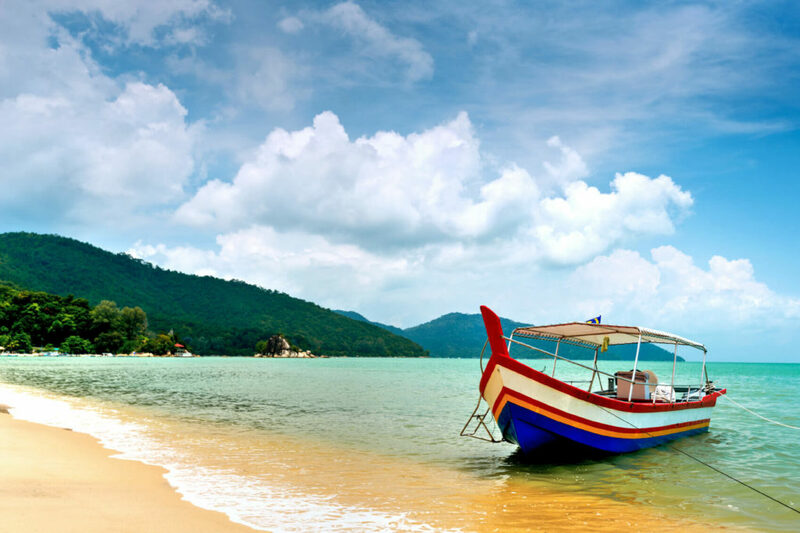 The ultimate offering here is a beach hopping excursion by private boat. Discover some of the most secluded beaches in Guanacaste and the Nicoya Peninsula, most only accessible by the ocean. You will explore miles of coastline along the North Guanacaste province while observing abundant marine wildlife such as dolphins, manta rays, sea turtles, and humpback whales. Your captain will situate you in the best spots to jump into the water and enjoy world-class snorkelling. Try deep-sea fishing too, or simply relax on isolated white-sand beaches with a private picnic. Swimming in the calm waters of the Pacific Ocean and relaxing on the beach while the sun sets over the horizon is, in my opinion, the perfect ending for a Costa Rican family vacation. David Marek, president & CEO of Ker & Downey, has travelled the world with his wife and two daughters. One of South East Asia’s most popular destinations, the Malaysian island of Penang deserves to be high on any family holiday list. It’s packed with plenty of family-friendly amusement parks, delicious food and natural and cultural attractions, not to mention great beaches and resorts guaranteed to appeal to families with children of all ages. And its size means you can pack in a huge amount in a very short time. Start with a visit to Penang Hill. Soaring 821m above Penang’s capital, Georgetown, it’s generally about 5 degrees cooler here than anywhere else on the island. It’s also the last patch of tropical rainforest in Penang, protected since 1960, and a great place to see some local wildlife – but watch out for light-fingered monkeys. It also boasts jaw-dropping views – on a clear day, you can see the mountains of Langkawi! If the kids need to let off a little steam, spend a few hours at the adrenaline-pumping Escape. The theme park specialises in flying foxes, with some of the biggest and longest in Malaysia. But if hurtling through the open air at high speed isn’t enough to get your heart racing, there are plenty of other fun activities on offer, including a free fall from a 20m jump platform, an inner-tube slide and a tree rope swing. Penang is Malaysia’s food capital. 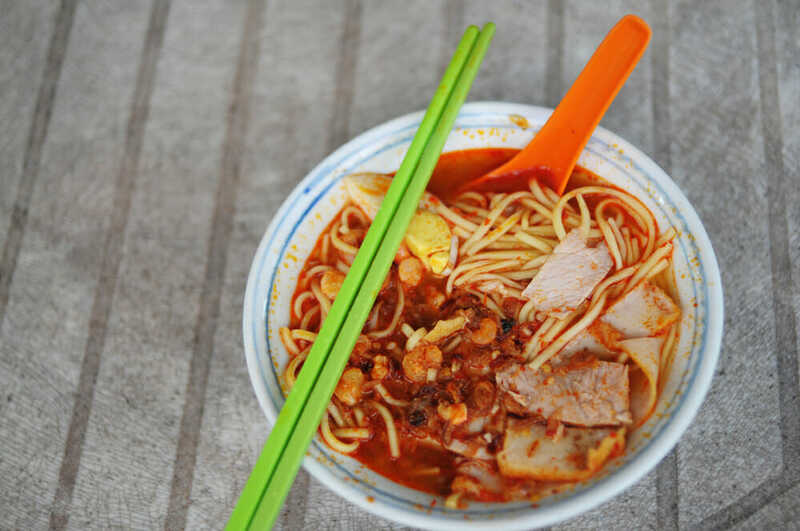 We found one of the best places to sample its famous street food is Georgetown’s Lg Selamat. Kafe Heng Huat does the city’s best char kway teow, while other nearby hawker stalls sell to-die-for lor bak, rojak, wantan mee and other Chinese Penang staples. Or check out the New World Park Food Court, which has a great selection of undercover street stalls. For somewhere to stay, I am a big fan of PARKROYAL Penang Resort, thanks to its hugely popular Koko-Nut Kid’s Club, which has amazing facilities and a great daily program of fun activities for kids aged 4 to 12. The hotel features Amazonia waterpark and some spectacular waterslides and is about half an hour from the upmarket Gurney Plaza – the perfect place to indulge in a little retail therapy and keep the kids amused with the great in-centre activities and attractions. Fiona Cusumano is Area Director of Marketing & Communications Oceania for Pan Pacific Hotels Group. One of the many upsides of working in the travel industry is having a huge choice of travel experiences, but I almost always choose a cruise for family holidays. Working for Ecruising has provided me with the opportunity to undertake quite a few cruise holidays with my daughter, who is now 3. Lots of cruise operators cater really well for families and there is a great range of options around to suit your budget. Travelling with smaller children, the length of the cruise and the distance you need to travel to and from the point of embarkation and disembarkation can affect everyone’s enjoyment. There is no doubt your holiday will start and end more pleasantly if you don’t have a hyperactive, sleep-deprived toddler in tow following a long flight. With this in mind, I am a huge fan of Royal Caribbean. The company’s family offering in the Asia Pacific region is second to none, and I think their eight-night South Pacific cruise aboard Ovation of the Seas, conveniently beginning and ending in Sydney, is the perfect entree to cruising for those with younger kids – long enough to feel like a real holiday and also easy for extended family and friends to join. 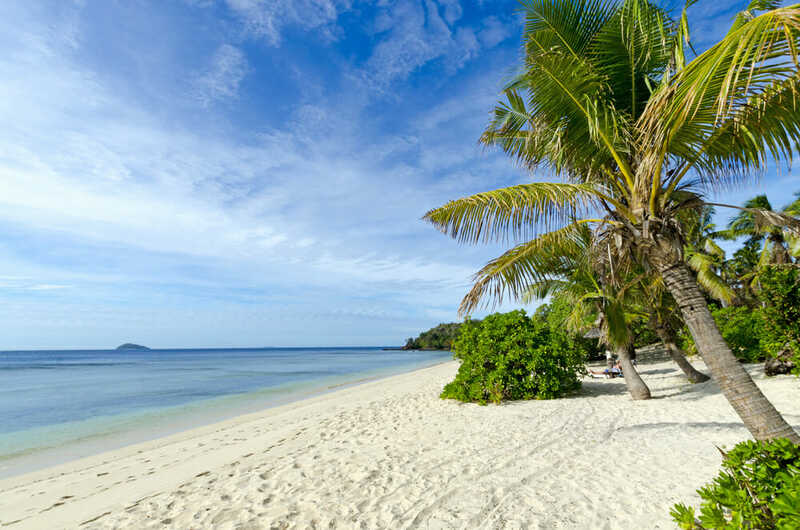 It offers one-day stopovers in Noumea in New Caledonia and the aptly named Mystery Island in Vanuatu. The onboard program for kids is guaranteed to keep them entertained throughout the day and night, including plenty of swimming-pool action, family-friendly dining options and movie nights. The ship’s Royal Babies program caters for children aged up to 18 months, while the Royal Tots program is for those aged 18 to 36 months. Each one offers plenty of age-appropriate activities, toys and interactive sessions for children accompanied by parents or carers. My daughter really enjoyed the Aquanauts youth program, designed for kids aged 3 to 5. It was both fun and educational – she got to conduct lots of cool experiments and even became a certified Junior Adventure Scientist! 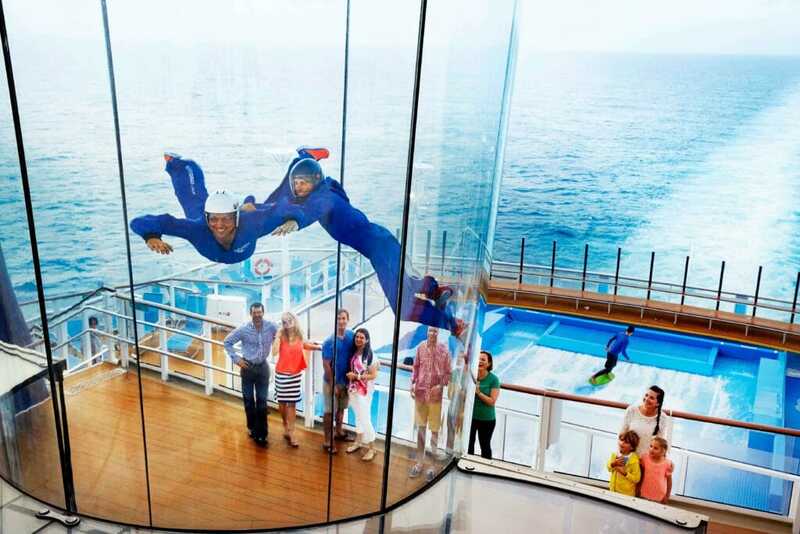 Ovation of the Seas also offers lots of activities and programs for older kids, including tweens and teens, who will especially love the RipCord by iFly simulated skydiving experience. My final tips? Book early to secure interconnected cabins for families; it’s worth spending a little more for a cabin with a balcony; remember to book shore excursions early – you won’t want to miss out. Serisha Ramdhani is Sales Manager at the award-winning Ecruising, Australia’s online cruise-holiday packages specialist. 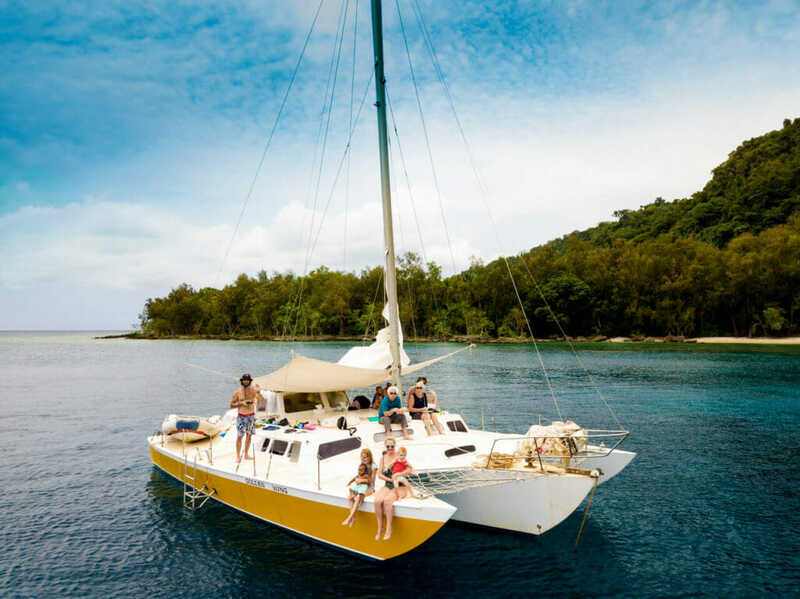 As a family of five, travelling is not what we do but a part of who we are – and, hand on heart, I can promise the tropical island of Vanuatu in the South Pacific is one of the most family-friendly destinations you can visit. The white-sand beaches are lined with palm trees and the water is crystal-clear, a beautiful bluer than blue teeming with tropical fish. Even resident dugongs will come and say hello as you snorkel or kayak past. Vanuatu looks exactly like every picture-perfect postcard or those envy-worthy Instagram photos that fill your feed; it’s awe-inspiring. The close proximity is a winner, too, especially when wrangling small humans. Just three hours from Sydney and even less from Brisbane, you are touching down at the Bauerfield International Airport before you know it. The main island is Efate; it takes just two hours to drive right around it, and everything you need is in the main town of Port Vila. From five-star resorts to smaller basic beach huts, you can even try glamping if that’s your thing. One of our personal favourite resorts is Aquana Beach Resort because it has 19 roaming nannies. I repeat 19. Roaming. Nannies. As a mother of three, that’s music to my ears. They play with our three kids (Caja, 11; Jonty, 2, and Hendry, 20 months) all day and even get in the pool with them while we enjoy a lagoon-side massage or a much-needed cocktail. But if you’re looking for something a bit different, you could head to Le Life Resort, which has beachfront huts or huge luxury tents from about $20 a night. It has a beautiful rustic feel to it, and falling asleep in a hammock is essential. As for activities, if you happen to have had enough of relaxing poolside or at one of the stunning beaches, there are plenty of fun things to keep the family entertained. There is a Wet’n’Wild waterpark with a twist – it boasts a huge slippery dip down a massive hill and is great for adrenaline junkies – or you could call Frank at Off-Road Adventures to see some of the countryside in your own beach buggy (mud puddles included). Our absolute essential day trip is to Blue Lagoon. It costs about $5 for entry and is a natural aqua tidal pool with rope swings hanging from the trees. We always have so much fun there. There are also waterfalls, horseriding, diving, chopper rides, fishing, local markets and handy crafts, and even an underwater post office. All of these activities certainly make us hungry and, luckily, the food is world class. With a big French influence, there are many top seafood restaurants, like Cafe Vila in Port Vila as well as more casual options like child-friendly K2 Cafe in Mele, which has an undercover playground and the best peanut butter cookies you will ever eat. But possibly the biggest drawcards are the locals. You will never feel as welcome or as safe as you do on the islands. It’s been voted the happiest places in the world, and it’s not hard to see why thanks to the wide smiles and friendly waves you will receive wherever you go. We actually adopted Hendry from Efate, so it really holds a special place in our hearts and always will. If you have ever thought of adding Vanuatu to your bucket list, it’s a yes from all of us. Jonica Bray is a journalist and proud adoptive mother from Sydney. Follow @the.wandertwins on Instagram, where they share their family adventures. Haven’t read part one yet? Check it out here. Stay tuned for part 3 of our 2019 Top Destinations to Visit.